There’s yet another new restaurant on Smith Street; Seersucker has just opened its doors with a Southern menu, complete with shrimp and grits and deviled eggs. I was in the nail salon next door this morning when an older lady walked in shaking her head and commenting on “the names they come up with for these places … seersucker,” she bemoaned. Seersucker, of course, is a bumpy, woven cotton, often in blue and white stripes or checks, considered a summer mainstay for gentlemen’s suits, especially in the South, where the light fabric was favored in the hot, humid months. 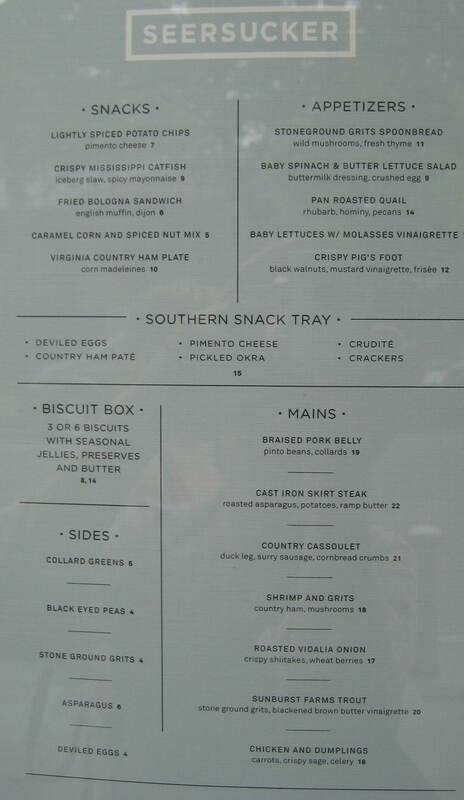 Nevermind the name; it’s a nice-looking place and the menu will lure anyone in need of chicken and dumplings, pickled okra or pimento cheese. 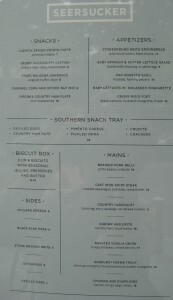 Personally, I want to try to the biscuit box: 3 or 6 biscuits served with seasonal jellies, preserves and butter. Right now, the restaurant opens at 5.30pm for dinner but there are plans afoot to serve lunch and brunch down the track. 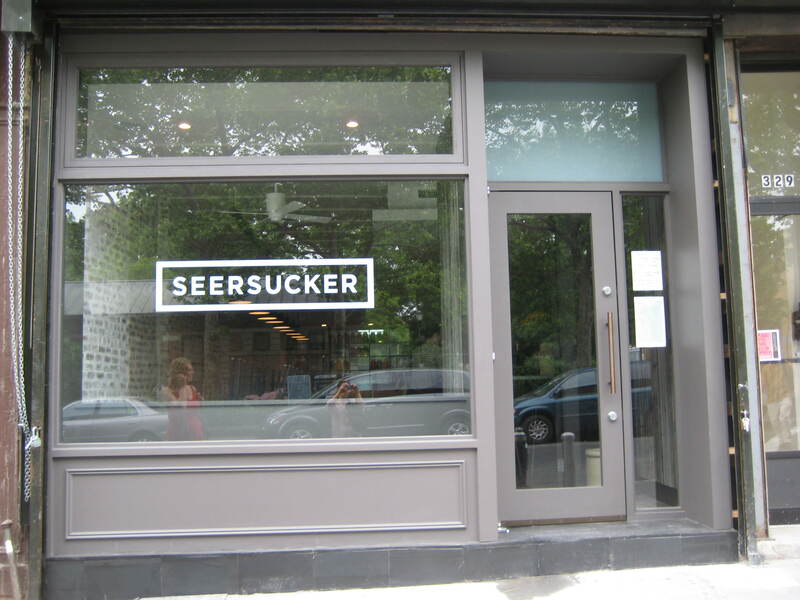 Oh, and in the tradition of all popular neighborhood spots, Seersucker takes reservations only for groups of six or larger. It does, however, buck the trend by accepting all major credit cards. 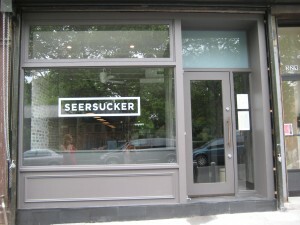 Seersucker takes the spot of Pita Grill at 329 Smith Street, near President Street in Carroll Gardens: Phone: 718.422.0444.